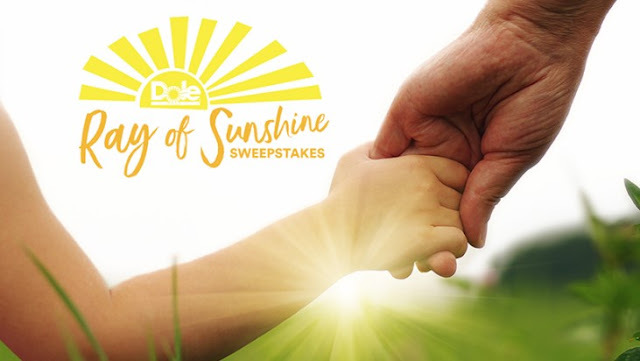 Dole is giving away $5000 to charity and they will select 100 winners every week to win a Limited Edition 2018 Dole Rose Parade commemorative pin, too! Grand Prize: Winner will nominate a 501(c)(3) charity of choice (must be approved by Sponsor) to receive a donation from Sponsor of 5,000 lbs. of food and a donation from Sponsor of $5,000. The Grand Prize Winner may split the cash donation and food donation between two charities. i.e. nominate one charity to receive the cash donation, and nominate a different charity to receive the food donation. The Grand Prize Winner may not split the cash or food donations individually. Seven hundred (700) Weekly Prizes (100 per week): Each winner will receive one (1) Dole Limited Edition 2018 Rose Parade pin. Five (5) Runner-Up Prizes: Each winner will nominate a 501(c)(3) charity of choice (must be approved by Sponsor) to receive a donation from Sponsor of 5,000 lbs. of food. This Sweepstakes ends on 12/20/17 and you can ENTER DAILY to win.